At the Compassion in Action Healthcare Conference, participants will roll up their sleeves, dig in and engage with visionary thinkers and doers to experience and learn how healthcare organizations around the world are improving quality, lowering costs and strengthening patients’ and providers’ experience using compassionate, collaborative care. Our vision is to form a powerful community where every Compassion in Action participant plays an integral role in sharing ideas, simulating new thinking and provoking the change that will better our healthcare system. Through interactive experiential sessions with experts from diverse care settings and communities, this innovative conference will focus on fostering compassionate leaders across all professions and roles within healthcare. Participants will leave the conference having gained inspiration, knowledge/skills and partners to improve care quality and outcomes, patient experience and workforce well-being through compassion and collaboration. To kick off the conference we have dedicated an entire day exclusively for all staff at our healthcare member organizations. The program will include an inspirational keynote and a variety of interactive workshops to support your team in creating and sustaining a culture of compassion in healthcare. The day will conclude with the Corman IMPACT Honors recognition dinner celebrating members’ innovative programs and initiatives that are models for making compassionate care a priority in an organization. This is your opportunity to connect with and learn from colleagues from around the world and to leave feeling motivated and inspired! The Corman IMPACT Honors celebrates healthcare members who are making a transformational impact by creating programs or initiatives that promote compassionate, collaborative care within their organization or system. We know that leading by example is the most effective way to inspire others to make compassionate care a priority and we want to recognize our healthcare members who are doing that. We appreciate your dedication to Schwartz Rounds and the difference the program makes, and we know many members may be doing more to move the needle of compassionate care. If your organization is doing things differently and changing the way caregivers and patients give and receive compassionate care, we want to recognize your work and share it with our member community. All program submissions will be highlighted at the Compassion in Action Healthcare Conference, on our Member Community website and Schwartz Center materials. 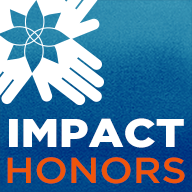 Up to three exemplary programs will be featured at the IMPACT Honors recognition dinner and a spokesperson from each of the selected member sites will have the opportunity to speak about their program and how it has made an impact on their organization. Read about the honorees and submitted programs and initiatives from our last IMPACT Honors. If you have questions regarding Member Day or the Corman IMPACT Honors, please contact Anna Ferrato, member experience coordinator at aferrato@theschwartzcenter.org. The Corman IMPACT Honors are made possible through the generous support of Stephen Corman in memory of his late wife, Betsy. Mr. Corman’s underwriting of the IMPACT Honors reflects his belief that leading by example is the most effective way to inspire others. It is his sincere hope that healthcare organizations are inspired by these honorees to find ways to make compassionate care a priority at their institution. Any Schwartz Center healthcare member that has an innovative program or initiative making a transformational impact to promote compassionate, collaborative care within its organization or system is eligible. Please note your organization must be a member at the time of the conference to be considered. What are the criteria to submit? In our experience it can take approximately one year to introduce a program and demonstrate its success; however, we will not be excluding programs that have produced results in a shorter period of time. What information will be needed to submit? Deadline for submissions is Tuesday, May 14, 2019. Submit your program by completing this form. When will the selected programs or initiatives be announced? The exemplary programs will be announced in June 2019. How will the exemplary programs be selected? Up to three exemplary programs or initiatives will be selected by the Member Experience Team consisting of Schwartz Center program leadership and volunteers. These programs will be featured at the Corman IMPACT Honors recognition dinner. How will member submissions be recognized? All eligible programs and initiatives will be highlighted at the conference as well as on the Schwartz Center Member Community website. Up to three exemplary member programs will be featured at the Corman IMPACT Honors recognition dinner. A spokesperson from each of the selected members will be asked to speak about their program and how it has made an impact on their organization. What will the members with selected programs receive? To submit your program or initiative for consideration, please complete this form.